It’s not hard. It’s not complicated. It’s actually pretty simple. 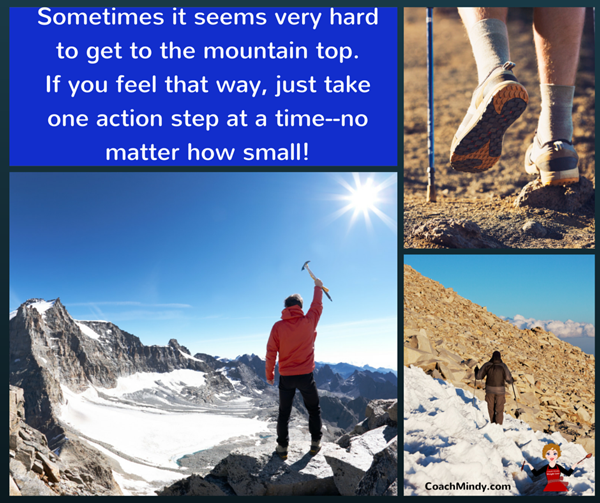 My tip is to: Take Action Steps! Action Steps are the specific steps necessary to accomplish a goal. Action Steps break down tasks into manageable pieces. Action Steps are the details. Action Steps tell us what we need to do. Action Steps should be simple. 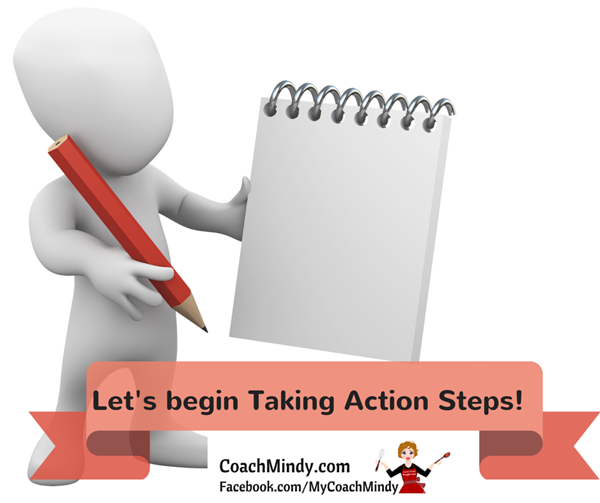 Action Steps should be personalized. Action Steps may be adjusted and changed. Why should we take Action Steps? Most of us have heard the expression asking: How can you eat an elephant? You take one bite at a time. Losing weight can be like eating an elephant—an enormous, seemingly impossible task. However, it we break this big job down into small, simple, easy action steps—we can reach our goal! You might finds some information shared in my post: 27 Easy Tips To Help You Lose Weight Gradually useful. Decide which tips would have value to you. Select just a few tips to begin, and work on choosing action steps. For example, perhaps you want to work on #11—Eat At Home Mostly. That is a great tip, but how are you going to accomplish that? What are the action steps? Be as specific as possible. How many days will I eat at home this week? Which meals will I eat at home? What are the weekly menus? What’s my weekly food shopping list? How many times this week do I need to go food shopping? Which days will I shop to have food? Maybe you are going out to dinner, and want to work on # 19—Learn Restaurant-Eating Strategies. 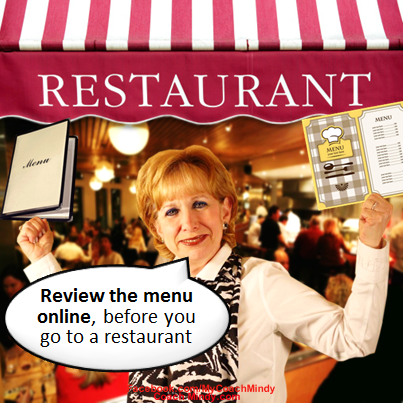 Review the menu online ahead of time. Pre-eat! Do not arrive “starving”. Order your food the way it will work best on your program. Huge Portions? Bring extra food home. Be sure to review the “sides” section of the menu. Do not order starch; instead ask for double green vegetables. 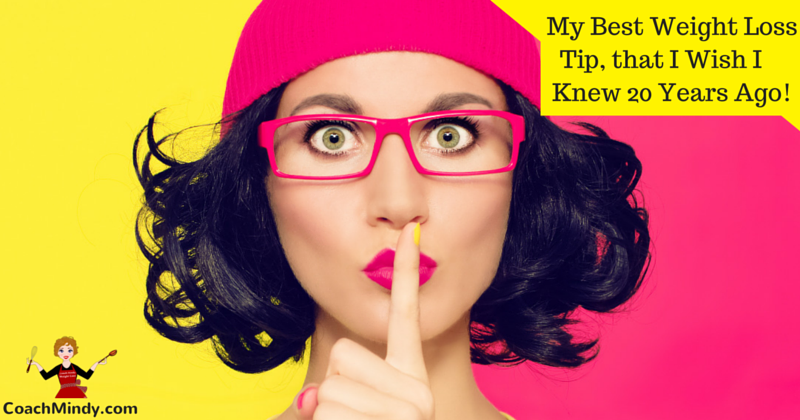 These action steps are discussed in my post, “9 Easy Tips To Help You Dine Out And Not Destroy Your Diet”. Perhaps you have interest in #14—Remove Poor Food Choices From The House. What are the action steps necessary to accomplish this? Where is the “junk food” in your house? How much of it can you get rid of? Will some “junk food” need to remain for family members? If so, where will it be kept? When will I spend time getting rid of “junk food”? Make a list of healthy food options to purchase. Decide when to shop for healthy food options. Shop and stock your house with healthy choices. That is wonderful advice! 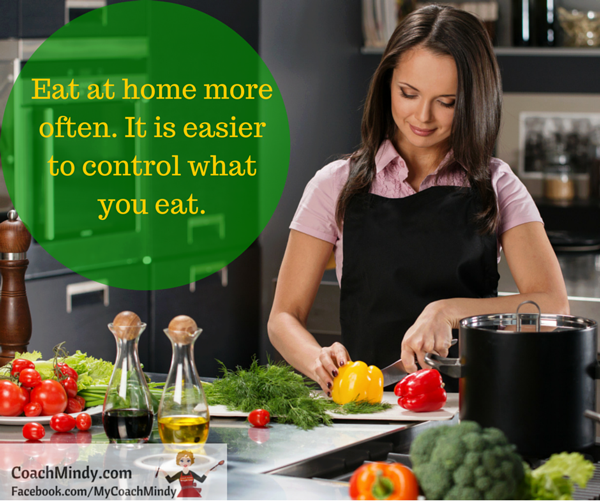 Action steps can constantly be “adjusted” to work with your lifestyle and healthy eating program. When is the best time to start taking action steps? Right now—no matter how small!